These fun Bachelorette Tank Tops - Aloha Bride & Aloha Fiesta - are super fun for your Tropical Bridal Shower or Hen Party. 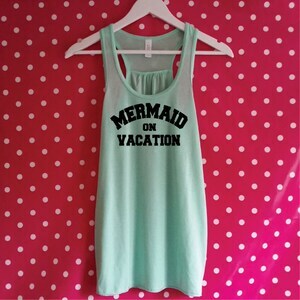 Team them with shorts or leggings, also great as Swimwear Cover Up when hitting the beach bar. 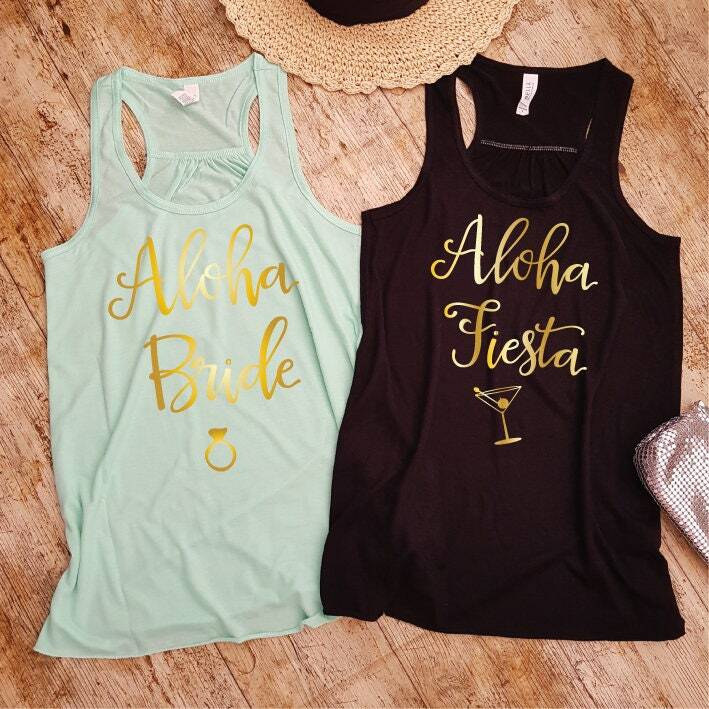 They are have a loose drapey style which makes them very flattering to wear for all your Tropical Tribe. This light and soft Racerback Tank Top has a flattering draped style with a relaxed merrowed Bottom Hem and sheering at the Racerback Seam. It is loose fitting, flowy and has a wonderful soft and dreamy feel. Due to it’s style it is ideal for your Wedding Party. Everyone will enjoy wearing it. 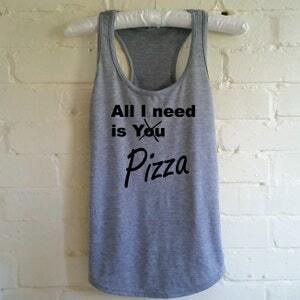 All I need is You Pizza Tank Top. 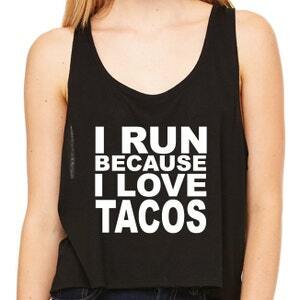 Funny Pizza Shirt. Pizza Vest. I love Pizza. 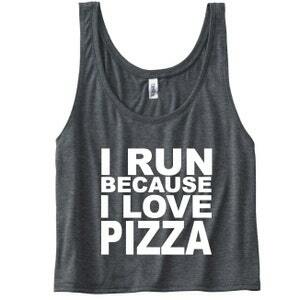 Tank for Pizza Lovers. Pizza Tank. Pizza Life.